Zodiac Bayrunner 550 Hypalon/NEO Professionally Rigged with a Yamaha F70LA for the ultimate river, lake and bay boat! The size of R.I.B. where things start to get interesting! You will appreciate the Yamaha F70LA's power to weight ratio when you push the stick forward and jump to plane with no effort and tummy tickling grins. 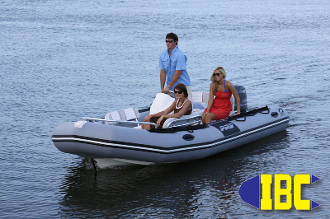 This Zodiac Bayrunner comes equiped with rocket launcher rod holders, ample seating, upolstered bow locker pad, USB + LINE IN Audio Input for Ipods, MP3 Players,boom boxes, etc., 12v aux socket,nav lights,gauge cluster,grab rails and much more. For in store pickup only, if you need this Zodiac Bayrunner 550 shipped please call (503)235-2628 for accurate up to date shipping quote. Trailer not included in purchase price.